Andrew Schenck Interview with Bruce Duffie . . . . . . .
Andrew Schenck, the music director of two New York ensembles, the Nassau Symphony Orchestra and the Atlantic Sinfonietta, died on Wednesday at his home in Baltimore. He was 51 years old. He died of melanoma, said Marvin Schofer, his former manager. Mr. Schenck was best known for his performances and recordings of American music, particularly the works of Samuel Barber. With the New Zealand Symphony Orchestra and the Chicago Symphony Orchestra and Chorus, he recorded several obscure works by Barber in recent years, including "The Lovers," an orchestral song cycle, and the Second Symphony. His recordings also include works by Randall Thompson, Paul Hindemith, Kurt Weill and Aaron Copland. He was born on Jan. 7, 1941, in Honolulu. He studied at Harvard, and privately with Pierre Monteux and Leonard Bernstein, and he took his Master of Music degree at Indiana State University. In 1988, he became music director of the Nassau Symphony Orchestra, which performs at Hofstra University. He became music director of the Manhattan-based Atlantic Sinfonietta in 1989. He was also the founding music director of the Baltimore Chamber Opera Theater and an associate conductor of the Baltimore and Honolulu Symphony Orchestras. It is always sad when someone who makes a very favorable impression is suddenly gone. 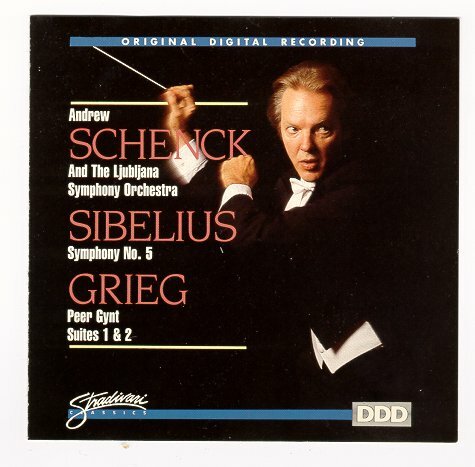 Conductor Andrew Schenck (pronounced skehnk) came to Chicago in October of 1991 for performances and recording of music by Samuel Barber. The program included the Prayers of Kierkegaard which was somewhat known, and The Lovers which was unknown and would be the first time that work had been committed to a commercial disc. The performances were very well received and the CD would garner very favorable reviews. However, as noted in the obituary above, just four months after his debut in the Windy City, Schenck passed away. The longer notice reproduced at the bottom of this page says that he found out about his illness just before coming here, but he neither spoke of it nor let it change his schedule in any way. I consider myself fortunate to have been able to speak with this musician, and after using portions on the air several times, it is especially good to now be able to share the entire encounter with readers on this website. Since there were already several recordings to his credit, that is where we began our conversation . . . . .
Bruce Duffie: Are you basically pleased with the recordings that have been made so far under your direction? Andrew Schenck: It’s always fun to leave the recordings for a while after you’ve made them because in the process of listening for takes and all of that, you get slightly stir crazy. Then you don’t want to hear another note of that recording by the time you’ve put it all together and heard the final product. You listen to it. You gloat. You say, “Oh, if only that thing had only—” and so on. Then you let it go for a while, and the most satisfying time after that is listening to it again. BD: Maybe a year later or so? AS: Exactly, and generally I’ve have had a pretty good impression on all of that. BD: When you’re in the midst of the recording, how do you decide which take will be used? What makes one take better than another? AS: Any number of things, from technical perfection, which of course is always a consideration, but also the sense that you’re actually getting a committed kind of performance from the players. That takes a big priority, and it has happened more than once that I would chose a take that wasn’t perhaps quite as perfect as another but somehow or other had more pizzazz to it, more intensity, more vitality. AS: Absolutely. What’s nice is when you will read a criticism, or read several criticisms that say the same thing, to the effect that there’s a sense of commitment here from the players. So many of my recordings were made with the New Zealand Orchestra, and there really has always been a sense of commitment to recording with them because they’re not really quite jaded to the trade the way some of your more mainstream orchestras would be. They really take care of every note that they play, and are very anxious to make a really outstanding product. BD: Are they taking care of each note, or are they taking care of the musicianship of each phrase? AS: All of the above, and we have to make sure that we have a balance. BD: Is that in Auckland? AS: They’re based in Wellington, actually, which is the capital. Since it’s the orchestra of the country, it’s fitting that it should be in the national capital. Also it used to be associated with the radio. It was a radio orchestra like BBC. Now they’ve separated from that, even though they still do their broadcasts. BD: Do they travel around to both islands? AS: Yes, very much so. That’s a good part of their activity, and they’ve started to do some overseas touring, as well. BD: Is the public in New Zealand as aware of what is going on musically as, say, a European or American audience? AS: Don’t forget, after all, that a lot of the people who you would find in your New Zealand orchestra have a very strong British pull — whether they’d like to admit that or not — so consequently there is a good flavor of the culture of the glory that was the British Empire. BD: Upon which the sun never sets! AS: Exactly! So yes, certainly there is a similar sense of the tradition of music, and that goes to things like choral societies. Recently I did Belshazzar’s Feast with two hundred and forty voices, choirs from both Wellington and Auckland combined. They were amateur choirs, but very good ones, and that of course follows exactly the tradition of choral singing in England. BD: Very committed to what they’re doing? AS: Absolutely, and of course in England, the choirs that record with the Royal Philharmonic and the LSO and other orchestras are themselves amateur choirs as often as not. BD: They go off to business during the day and then come and sing at night? BD: Does that give a different perspective on the music for them, that they’re not so involved in it and so wrapped up in it? AS: Perhaps. It’s hard to make a categorical judgment on something like that, but there is that difference between the amateur and the professional in attitude, certainly. There is a tremendous joy, even if sometimes the quality of the performance may not be up to professional standards. But in England the quality is up to professional standards. That’s the amazing thing. That’s how strong the choral tradition is there. BD: Is this all tradition, or is it perhaps partly learned from recent broadcasts and recent recordings? AS: I think it’s been in the environment and the culture and the habits of the English for years. BD: So you go to New Zealand and you bring the music of an American composer! AS: Yes, indeed! It’s been a peculiar, slightly ironic twist that this concert that I’m doing, and the recording that’s coming from it with the Chicago Symphony, will be the first recording that I will have made of music by Samuel Barber with an American orchestra. [Both laugh] It’s not the first that I’ve conducted live; I have had the experience of taking Barber not only to New Zealand but to Ljubljana. I did the Barber Second Symphony there a couple years ago and they had no trouble taking to it at all for the very simple reason that Barber’s music basically is very much rooted in the European classical tradition. BD: So it’s a mainstream music? AS: Absolutely. Where the Ljubljana Orchestra had trouble was doing the Copland Clarinet Concerto. BD: Because of the jazz rhythms? AS: They weren’t used to them! This affected the string players most particularly. We had to rehearse and rehearse and rehearse to get those syncopations to swing! It was really quite amusing, and they loved it. They took to it from an enthusiasm standpoint, and once they got it, it was great. It just took a little longer. BD: When you prepare an orchestra and chorus, do you do all your work at rehearsal and put everything into the music then, or do you leave a little bit for the night of performance? AS: I suspect there’s always a degree of energy in the performance that almost unconsciously the adrenaline pumps up and you add a little more something to it, but I usually do the brunt of my work in rehearsal. I tend to be quite a careful planner that way. So I don’t try and leave everything to the spur of the moment. BD: Is there ever a chance that something could get even over-rehearsed? AS: I would say here it’s almost impossible because there aren’t that many rehearsals. I have with the orchestra three rehearsals. Of course the Chicago Symphony can do a program like this in three rehearsals, being the great orchestra that they are. With most orchestras you have four, and that’s just about all you need for an orchestra of any professional quality at all. BD: So even though it’s not luxurious, it is sufficient? AS: Yes, I think so. When I go to some European countries and find myself with five or six rehearsals, I think, “My God, what am I going to do with all of this time?” But of course you can usually find something to do. It’s just a matter of degree, but it’s as much an economic function as anything else. The price of rehearsals is high, and the contracts that evolved in orchestras over the years get more and more expensive. Naturally you’re restricted, so it behooves you as both a musician and as a conductor to be able to get the work done as efficiently as you can. I know certainly musicians resent it when a conductor gets up there and wastes time. We’ve come a long way from the old days when Mengelberg would get up and deliver a sermon. That just isn’t doable in this day and age. BD: So you communicate immediately what you want? AS: Absolutely, and so much of it has to be done non-verbally. It’s done with body language. It’s done with eye contact. You’re trying to communicate even as you read through the entire piece for the first time. Then you pick up the pieces here, here, here, and one spot and another spot. One of the challenges of conducting and rehearsal technique is the mot juste, if you will — to not get verbal. You need words, however, and you need to use the right words, and that takes quite a few years of experience and practice to be able to develop that kind of skill. The man who I thought had that down to a science — and I don’t know whether he was conscious about it all or whether it just was his particular way — was Pierre Monteux, who I studied with many years ago. Monteux’s English was almost unintelligible because he spoke with such a thick French accent. If you don’t know French, sometimes you would lose completely the meaning of what he was trying to say. He would say “Wagner use a little tradizione here.” He doesn’t even try to say “tradition” with a French accent, it’s just tradizione. BD: But the players would understand that? AS: Yes, but the point really is that while his accent was terrible, his selection of words was outstanding! There wasn’t a wasted word in any of his rehearsals. He himself only actually rehearsed maybe once or twice during the entire summer, but it was enough to make you understand just how terribly important that was. BD: Did that same restraint transfer into his baton technique? Was it always just the right motion or just the right indication? AS: That was his style very much. His baton technique was equally economical and totally clear. It was the conducting of a musician’s musician, in short. BD: He conducted in the early to mid part of the century. I wonder if that technique and his ideas would transfer to the late part of the century and into the next century, or if he was a man really for his time only. AS: That’s a difficult question to answer because what is our time anyway and what is to come? We have had styles ranging in the current day from Leonard Bernstein with his flamboyance to Pierre Boulez with his very austere approach. [See my Interviews with Pierre Boulez.] They both work. They have totally different kind of results, and the world is fortunately wide enough to accommodate all of that — which is what’s so wonderful about being in the field that we’re in. What struck me about Monteux recently was hearing a recording of his with the London Symphony Orchestra. It was one of his last, doing Brahms Second, and what an impassioned recording that was with the amazing amount of flexibility in the tempo! BD: Was this a studio recording or a performance? AS: I think it was a studio recording. He knew Brahms personally, but hearing that after remembering just how musically correct he was, yet at age eighty-seven when he made this recording, he really got very, very emotionally in high gear — as he did whenever we did Brahms at the Monteux Conducting School. BD: Where was the school? AS: In Hancock, Maine. It interests me to compare that with work of another musician’s musician who was Monteux’s very talented protégé, David Zinman, who I thought the world of. I was there at the same time with him, and David’s style is very controlled and very crystal clear. He has that aspect of Monteux’s technique very, very much, but as far as the flexibility of tempo and the passionate approach, I think perhaps you might say David was more a man of the late twentieth century than the early twentieth or late nineteenth century that way because it is decidedly a more controlled and less spontaneous kind of approach than what I heard on this recording of Monteux’s and the LSO. BD: Where do you fall — or is it impossible for you to judge being from within rather than from without? AS: That’s, of course, a loaded question. I aim for balance. My study, the work I do behind the scenes is very thorough, and I’m not really happy unless I have the score really backwards, forwards and sideways. Whether I’m using the score or not is immaterial. I’m at the piano a lot, and I’m just basically spending a good deal of time getting the thoughts organized and living with the music so that I’m in control once I’m on the podium rehearsing. The rehearsal is pretty much strictly business, although I try and do it with a sense of humor and with my own particular style. Then when it comes to the performance the passion is what means everything to me. BD: Are there ever times, either in rehearsal or in performance, when something happens and it changes your idea a little bit, and you go with a new idea in the score? BD: So you go with it right then on the spot? AS: Sometimes that happens, yeah. I can’t ever say that I’m totally controlled, although I do aim for that. BD: Let me ask a great big philosophical question. What’s the purpose of music in society? AS: Ah-ha!! Wonderful big philosophical question! To me, music has almost healing power. I sensed this recently when I was getting ready for my first concert in Long Island with the orchestra I had up there. I was studying the Linz Symphony, and looked at this music and somehow or other all the trials and tribulations of life seemed to disappear as that music came. I had a wonderful sort of clean feeling inside after going through all of that. BD: Was that just the music, or was that Mozart? AS: Well, Mozart does that to you, of course. But after all, Mozart is music and Mozart is probably one of the finest examples of that kind of spiritual power that music does have over you. It can exalt you in a grandly spiritual and religious way when you’re experiencing, let’s say, a beautifully done Bruckner symphony. It can sadden you, as The Lovers will. It’s a wonderfully melancholy piece as it progresses, and it can even make you angry. When you listen to a piece like the Vaughan Williams Fourth and that wonderful story, here’s good old nice guy, pastoral Vaughan Williams writing horrible crashing dissonances and having the brasses play incredible wicked stuff. Vaughan Williams’ comment was, “I felt like this; I had to say it!” It was almost as if he was just letting it all out. So to me, that is part of the purpose of music. It’s communication. It’s somebody making a statement that we all can understand, and it gives us the time to absorb all of that. One of the problems that we have living in this whiz-bang media television age, this computer age where data go so fast before you and get crammed in you instantaneously is that you never really are allowed the time to let it all sink in. To me, the great value of going to a concert and sitting in a seat is letting the music do that sort of thing to you. BD: It cuts you off from everything except that music. AS: Yes. It’s quite absorbing and just gives you a little more insight into life, into human relationships that otherwise we don’t have. We’d certainly be all the poorer if we didn’t have that, and that’s why the church, in its history, knew very well what it was doing when it used music as part of its message. The history of Western music is so intimately linked with the history of the church for that reason, because the worship service is already filled in the spiritual things that the words themselves could only hint at. You experience these through the music, and you can extrapolate that from the particularly sacred world that the church was involved in to the concert hall when you’re listening to a symphony, to a string quartet, to an opera or whatever with very little difficulty because the experiences that you have inside or outside of a church can be really remarkably similar. It’s documented in music history that the Bach Chorales were full of popular songs, and the churches use folk masses as well as the traditional music now. So that’s what I mean when I talk about the spiritual side of music. It needn’t necessarily be a specifically Christian approach. It can move you in a much more universal way than that, as something that we all have as human beings and we’re all capable of being moved by. BD: When you’re conducting, is it your job primarily to find out what the composer wanted and felt, and translate that to the players? AS: Let me use the church analogy a little bit more specifically. As a conductor, I feel a bit like the celebrant of the Bernstein Mass, as if something is coming through me and being communicated. In the process I can lay no claim to objectivity. I don’t believe that any one person can or that any one person can make the claim of having the definitive performance of anything. The art is too interesting for that. So naturally when I’m conducting Barber or Beethoven or Mozart or whatever it is, it’s as I see it, as I envision it. BD: As you feel it? AS: As I feel it, absolutely. Certainly I strive to see what message Mozart or Beethoven or Barber is trying to say to me, and I try and serve the composer that way. I believe ultimately that that’s what a conductor’s job is — to be a servant. I heard a sermon very much to the same effect that came straight out of, I think it was Mark, to the effect that if you are going to lead, you must then serve. So I do feel that is my role, that the composer is the greater man than I and I have a responsibility to transmit the composer’s message. BD: You’re more than just a conduit, though? AS: Certainly, because it becomes somehow or other transmogrified and mixed in with my own particular personality. I think this is true with any conductor. That’s why perhaps some conductors get identified with some people’s music more than others; there is a chemistry that takes place there. You strive to give equal time and equal energy and equal insight into every composer that you deal with. That’s your professional duty and responsibility. How the public responds to that, I have no control over. BD: But you can’t give equal amounts of inspiration to each composer. There will be some that will touch you differently. AS: Indeed. There’s going to be my reaction to my feeling about what the composer’s merits are, and how I respond within that constriction of what my tastes are; and even those can change. BD: From night to night, or more from month to month and year to year? AS: Year to year. I enjoy conducting music now that I couldn’t stand forty years ago. It’s because my attitude has changed, because I’ve lived longer, because I understand what this composer was trying to say within his particular culture and time. BD: In any of the music that you perform, where is the balance between an artistic achievement and an entertainment value? AS: Ah, that’s a heady one! Sometimes they’re one and the same, I think. Entertainment has as pejorative connotation, doesn’t it? When you say “entertainment,” that means people are amused but not moved in a deep kind of way. When classical music concerts are reviewed in the entertainment section of the paper, that sort of gives the effect of cheating. At least that’s the way our culture would like to think of that, and yet of course, some of Mozart’s most incredibly beautiful music was written as an entertainment. Think of that Wind Serenade, which everybody knows from Amadeus. There’s some absolutely divine music in that. BD: Some of his works are even called divertimenti. AS: Yes, indeed! As a clarinetist in my early years, I used to love to play those little divertimenti for two clarinets and bassoon. What heavenly music that is! It’s really quite extraordinary. So when you talk about the difference between art and entertainment, I’m not sure there is that much of a difference. Sure, you’d be hard pressed to say that after you went to a performance Götterdämmerung that you were entertained. The effect of the music is different, and I think the attitude of the composer was very different. Wagner took himself very seriously — not that he didn’t have a sense of humor, but his whole attitude toward art was quite different from Mozart’s, as was his century’s. BD: When did you move from clarinet into conducting? AS: I had the conducting bug in my ear even before I took up the clarinet, in a sense. We had a family friend who was a conductor. When I was very small we used to go to his rehearsals all the time, and he noticed that I had an unusually keen perception of music. BD: Is this someone we would know? AS: I doubt it. His name was Fritz Hart, and he was an Englishman who had moved to Australia and became conductor of the Honolulu Symphony Orchestra. I was born in Honolulu. Fritz was a colleague and friend of Vaughan Williams and Holst. I owe to him my love of English music in general. My first musical exposure was Gilbert and Sullivan, as well as plenty of Vaughan Williams and Fritz Hart’s own music. He was a composer in his own right. He even wrote little pieces for me for my birthday which were Schumann-esque. My initials are ACS and so he wrote pieces on that little diminished triad of A, C, and E flat. It was really a charming thing to do. I left Honolulu when I was six and pursued other interests, and later I really started studying music seriously. I had the usual sort of encounter with the piano that most nine year olds have. Oh, God, I hate to practice! Especially do I hate to practice Czerny and scales and things like this. Then I took up the clarinet two years later through a school program, and I suddenly found that I was taking to it like a duck to water. In a year’s time I was playing things like the Mozart Concerto. I thought, “If I can play concertos on the clarinet when I can barely play Czerny on the piano, this is going to be my instrument.” So I really worked on that, and did a fair amount of concertizing for a high school kid in New York. I went to Music and Art High School there and one of my first orchestral jobs was the Aspen Festival Orchestra. I had just gotten out of high school, and it was a rather awesome experience because there was Anshel Brusilow playing concertmaster and Jimmy Chambers sitting behind me and a lot of the real greats in orchestra-dom were there. It was quite a high. But also by that time I was getting interested in conducting, and did my first conducting studies of any seriousness in Aspen. Then came the Monteux school after that. So the bug was placed in my ear at a very early age, but before I got a chance to make a big name for myself as a clarinetist, the next thing I did was go to Harvard and major in English. BD: To get away from music? AS: Partly, or at least to give me the option if I ever thought I might want to do something else. Of course immediately, the moment I decided to major in English I knew that I was fated to become a musician, and did much music on the side as extracurricular activities. Immediately after that I went to Germany on a Fulbright to study conducting. So that’s how that launched. It’s been a long road, and I must say as a career goes, it was not one of those instant-success careers by any means. It’s been a long developing one, and I’m very happy about that. BD: It gives you a chance to absorb all of this material. AS: I think most particularly the art of conducting is one that takes maturing and ripening, and the only way you can do that is by doing a lot of it, and by living. At this point I feel that life begins at fifty now. BD: You have just passed the big 5-0! AS: Yes indeed, and I feel life is very much beginning at this stage. So it’s appropriate that I should begin this life by coming to Chicago and conducting this wonderful music with this incredible orchestra and chorus. BD: Since we’re moving in that direction, let’s now talk a little bit about Samuel Barber. Do you have a special passion for Barber, or was this thrust upon you and you grew into it? AS: I would say that I grew into it. It was a situation of one thing leading to another to another to another. The sequence began when I did the Piano Concerto with Ted Josselson with the Pasadena Symphony Orchestra, which is a wonderful orchestra that is made of the cream of the crop of Los Angeles studio musicians. So they really played extraordinarily well. Ted and I had worked once before and hadn’t seen each other in years. We spent a lot of time with this piece and really got very close, musically, and spent an inordinate amount of time in our rehearsal with the orchestra. Usually the standard operating procedure is you do the concerto at the last minute. We worked on this for every single rehearsal, and really got it right. The collaboration was so intense that Ted was thrilled, and he called up Harold Lawrence, who had just left the managership of the London Symphony Orchestra. Ted said to Harold, “I want to record the Barber Piano Concerto with Andrew Schenck. Can you get me the London Symphony Orchestra?” And he did! So we put that together with the LSO, and I filled it out with the Adagio and the Meditation and Dance of Vengeance from Medea. It seemed logical enough after that to follow up with more Barber, having made our particular mark with that piece, and I think we did make a mark with it, because the only major recording hither to it had been that old recording that John Browning did with the Cleveland Orchestra and George Szell. [See my Interview with John Browning.] 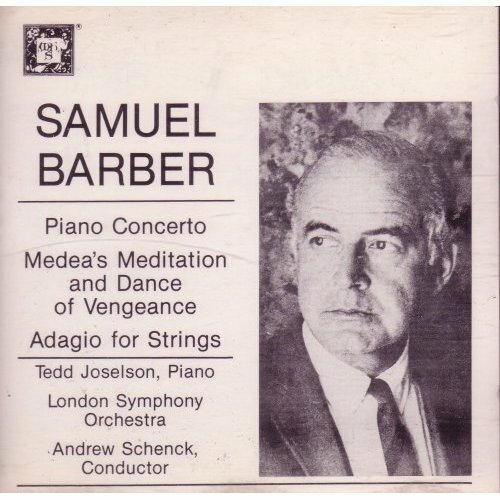 This approach was really very, very different, and also it was the first recording of the Barber Piano Concerto to come out on CD. It was 1984 and CDs were just coming out. So it was logical to follow up with more Barber, and actually it was Harold who breathed the suggestion into my head to think about the Second Symphony, which is the piece that Barber had suppressed during his lifetime. BD: If he asked you to think about the Second Symphony, would you have even known the work at that point? AS: I happened to have had the score and looked through it and thought, “This is interesting. I want to find out more about the history of this piece.” So I did, and learned the whole story about the suppression of the work and Barber’s feelings about it. BD: Briefly, why was he unhappy with it? AS: Well, I think he was unhappy about it because his publisher made some remark to the effect that it wasn’t selling as well as the Adagio. AS: Exactly. It had been written in the height of the World War II effort, and was associated in some way with aviation. Barber had been a corporal in the Army Air Corps when he wrote the work. I think he must have felt that it was a dated kind of association — and perhaps there is some truth in that — but he was obviously too close to that association to be able to stand back and think of the piece on its own merits. He did extract the second movement which became published under the title Night Flight, and he did also lift a portion of the symphony into Antony and Cleopatra later on. But he somehow or other saw fit to have the piece withdrawn from performance in the early 60s after he had had some success with it. He recorded it himself, and the piece got some really very good reviews when it first came out. So I would have to say honestly that it’s not a perfect work, but what pieces of music are? BD: You wouldn’t tamper with it to make it a little more perfect? AS: It wouldn’t be so easy to do, and the fact is there is much good in it. It is, after all, a work written by a major American composer. So I thought, “This piece really deserves a rehearing by the American public,” and got into a correspondence with the Barber estate, because I didn’t want to do it behind their backs or anything like that. That would not have been a nice thing to do. They did allow me to make the recording of the work, and once that was done then they allowed it to be performed in public. They have since republished the score, which is pleasing to me. It was, I think, very well received by the critics as a piece. BD: Not as a World War II piece, but as a piece? AS: A piece of music, and it certainly was something that sparked a consciousness about what this man was in American music, because with that recording came also a lot of other pieces of his such as The First Essay and the Music for a Scene from Shelley, which I think was an absolutely gorgeous work that is underperformed. Also came The School for Scandal Overture, which is quite well known, and the Adagio, of course. BD: I would think that the Barber estate would be glad to have this, because now there’s a resurgence in hearing and performing the music. AS: Oh I think now, yes, with twenty-twenty hindsight you can say that, but it was certainly to some degree a risk. I had no idea that the piece was going to take off the way the way it did and that it would be that well received. I was going with the New Zealand Symphony Orchestra, which I’d heard on one or two recordings on their Kiwi label, but had no idea how they would take to the circumstances of recording in the system. It turned out all they had was a miserable studio, and we had to do some really very nice electronic things to make it sound spacious. BD: Is that not fraudulent? AS: Yes and no. You wouldn’t want to hear it the way it really sounds, but it certainly is not fraudulent from the standpoint of capturing the spirit of the players, which was quite high. BD: So you’re really just making the alterations that you could if you had time to change the plaster and the wood of the studio? AS: Yes, indeed. There was no facility there that could offer us that. The other thing that was interesting about putting that recording together was that we didn’t have the occasion of doing a performance beforehand. It was all done completely in the studio, and we were dealing with parts that had been resurrected. They had been found in the basement at Faber Music in London, sent to Schirmer and sent to me. I took a look at them and said, “Yes, I think these will do fine.” Then they got out to New Zealand. The recording had been put together so fast and so much at the eleventh hour — getting the label together, getting all the pieces that had to go in to make the recording possible — that I really had not had the time to go over the parts with a fine tooth comb. So I was correcting mistakes while we were recording. It’s a good thing I have a good ear; I think I managed to get all of the mistakes out before the recording was finished, but it was really quite stressful. BD: You’d have to assume that any mistakes you heard were not the player, they were in the part? AS: Right, and of course they were the part. The pressure was immense on the orchestra, needless to say, and when my wife asked one of the musicians later on how he liked the piece, he sighed and said, “I haven’t the foggiest idea.” He was so busy just making sure he had his mute in the right place and was counting the right number of rests and making sure that his part was right. There was no way he could sit back and listen to what this was as a piece of music. BD: So how can you make music if you can’t even hear the music coming off the page? AS: That’s all our professional duty, in a sense. I’m up there to put it together and to have the insight into it. I would ask for a little less horn here, a little more trombone there, and the musician, as long as he or she is doing his or her job, will cooperate. BD: Might get a little better after a few more readings through? AS: In fact I did come back later on to New Zealand to perform the piece in concert, and at that point, having recorded it a couple of years before, the memories started to come back. They said, “Oh, yes I remember this passage,” and it really sunk in in a comfortable way, which was what we needed for the performance. Fortunately you don’t notice these things that much in the recording situation. It was less than comfortable, but we managed because we were recording it — doing takes to make it sound comfortable. AS: How about Richard Strauss’s Japanische Festmusik while we’re at it, [laughs] and Britten’s Sinfonia da Requiem, which incidentally was commissioned for the same occasion by the Japanese. You could use Victory at Sea to have a whole World War II buffet. AS: That could be a slightly heavy thematic trip. One of the interesting things that crossed my mind as I was looking at this program that I’m doing here with the CSO is that there’s about eighteen years between each of the pieces. The First Symphony is 1936, Prayers is 1954 and The Lovers is 1971. So it’s a very interesting distribution and insight into stages of Barber’s life. Barber’s music is enough the same through all of that so that you don’t have wild swings from one style to another, but the Prayers of Kierkegaard is noticeably denser and more dissonant than either the Symphony or The Lovers. In The Lovers he starts using a very simple style, and there’s some wonderful orchestrational touches that are very, very discreet. His use of the percussion is a very interesting case in point. He’ll use things like a Chinese bell tree or a vibraphone or a little soft touch with a xylophone or an antique cymbal. It’s so different from the slam-bang percussion that you get in so much late twentieth century music. It’s all extremely discreet. Of course, then he goes and writes his Third Essay with ten tympani! BD: I want to ask you about single composer evenings. Are those good? AS: They can be, and I enjoy them personally when I’m going to do an all Brahms or an all Beethoven, just to get different moods of the same composer. Not necessarily that you should do this all the time, and I must say this all Barber is probably unique. I don’t know of anybody who’s done an all Barber program before. But I have a feeling, as I live with this program, that it’s going to work. Part of the reason for that is that we have the spread I mentioned; also that we’re dealing with one unknown piece of great interest since we will be making the world premiere recording of The Lovers. The Prayers of Kierkegaard has been recorded, but a long time ago, and everybody’s doing the First Symphony. The Baltimore Symphony is doing it, the Detroit Symphony is doing it. I’m not exactly sure who else, but it’s quite popular in the repertoire now, I’m glad to see. BD: Does this help give a push to other American composers, or is this uniquely Barber? AS: I think it should, and I think it probably will. When you talk about American music, you talk about Copland and you talk about Ives and you talk about Barber. When you have enough exposure to them, it gives some credibility to the fact that, yes, there is a symphonic tradition in America. Certainly Gerry Schwarz has done a tremendous service in his recordings of Piston and Howard Hanson. [See my Interview with Gerard Schwarz.] These are part of us; they’re part of us as Americans and they deserve to be brought before the public. It becomes a matter of pride for me personally as an American to be able to say that this is our music. Roy Harris deserves more recognition that way. In addition to Barber, I’ve recorded two symphonies by Randall Thompson, the Second and the Third. That disc came out this summer, again with the New Zealand Symphony Orchestra. Those are interesting pieces because while you can’t exactly say they’re profound, they’re beautifully written pieces! The orchestration is really perfect. It’s very clear, and I try to approach the works almost the way you’d approach Mozart. It has a very classical sort of air to it, and yes, this is us, too. BD: Each one of these composers that we’re talking about is deceased. Are there some who are currently living, even if they are perhaps aged, that should be included and make the progress continue? AS: Interestingly enough we’ve gone through our many phases of musical styles. Barber fell into obscurity when atonality was the watch word, and aleatoric music and all of these particular fads were coming in. The interesting thing is that we have a whole new younger generation of composers out there who are writing in a very neo-romantic style. You have Ellen Zwilich and Steven Paulus and John Harbison and Richard Danielpour. [See my Interview with Ellen Zwilich, and my Interview with John Harbison.] I can just tick them off like this, and I find this very refreshing to see because one thing that has bothered me about the trendiness of certain kinds of music is that it gets followed to an extreme. Minimalism has come and it’s done some interesting things, but it’s also gone, I think, from the standpoint of being a fashionable style. BD: It’s no longer on the cutting edge. BD: Do you think it will always be there, or is it going to get left behind? AS: As with any style of music, you have your good examples and your not-so-good examples. There is good twelve tone music. Schoenberg wrote a couple of inspired things out of many pieces that I think are less than inspired; Berg with Wozzeck and Lulu are just incredible works. Lulu is very strictly twelve tone. It has nothing to do with the technique; it has a great deal with whether it speaks to you. Even Webern speaks to me in a very special sort of way. I love the crystalline clarity of his music. But this doesn’t say that everybody should write that way, and I have heard many a composer try. When that starts to set in, it becomes pale and sort of faded, and you say, “Enough already. Let’s evolve organically into another sort of style.” I think the same happened with minimalism. There are those who believe in the real ultra minimalism of the Philip Glass operas and some of the Steve Reich pieces. [See my Interviews with Philip Glass, and my Interviews with Steve Reich.] I happen not to, but I would consider John Adams as sort of the Alban Berg of minimalism from that standpoint. He uses the technique and uses the style, but also knows how to make something speak to you in a dramatic way. BD: Of course he’s ten years younger than the other two. AS: Whatever that means; can or needn’t be. It’s perfectly possible that you may get somebody who comes along and is a founder, who tends to be the dogmatist and will be the successor to that, that will take this language and make something meaningful out of it. AS: ...which I wish I could have seen, but I understand it’s being done on PBS, so I’ll at least get a chance to see it on television. It’s a beautiful work. I obviously don’t know it as intimately as I know some of the other stuff that I’ve recorded. BD: Coming to the city where we’re kind of having a little Barber festival, and your being today’s Barber specialist, does that make everything even better for you? BD: Is there going to come a time when you will say, “I want to conduct something besides Barber”? AS: Of course I do conduct something besides Barber. BD: But when they ask you, they just assume that this is what you will bring. AS: Actually, it ain’t necessarily so. For my guest engagements — aside from the recordings that I’ve done in New Zealand — I’ve also done a great many others pieces as well. I have done a good deal of standard repertoire. I did Belshazzar’s Feast the last time I was in New Zealand and I’ve done plenty of standard repertoire with my own orchestra in Long Island. So it’s fortunate; I’m able to keep my recording profile and my guest conducting profile somewhat distinct, which is fine. People will know me as the Barber specialist, but they certainly know that I do other repertoire as well. After all, what you need to have and do to perform Barber can be applied to just about anything in a repertoire, really. BD: Thinking of the large repertoire then, how do you decide which pieces you will conduct and which pieces you’ll set aside or even let go completely? AS: That depends very often on what the orchestra happens to be doing that year. If I come in as a guest conductor and they have done lots of Mahler, I don’t do Mahler. The rest of it is what I happen to be in the mood for. BD: What is it about a piece of music that puts you in the mood for that work? BD: Are there specific things that you are looking forward to, hoping that you’ll have the opportunity to conduct? AS: Oh, my! What haven’t I conducted in a while? Let’s see. It would be nice to do Mendelssohn’s Scotch Symphony. I haven’t done that one in a while, for example. BD: Or things you’d like to come to for the first time? AS: Oh, certainly. There’s a couple of Mahler symphonies that I would like to do for the first time that I haven’t done yet, or Bruckner even more, perhaps. Some of the oddball Sibelius would be nice to do. It would be nice to do a Shostakovich Thirteen. I can just rattle off things like this that I’d be in the mood to do. It has been a while since I’ve done the Mozart Prague Symphony. I’ve done the Linz and the Haffner and the Jupiter a good deal, but the Thirty-Eight is a very special work and I’m very fond of things that are a little bit different. Then I’m ready for the even-number Beethoven symphonies now. I’ve done all the odds. BD: What advice do you have younger conductors coming on? AS: What advice do I have for younger conductors? Just keep on conducting. If I can use my own career as an example, I would say to any other conductor who is coming along the way, it’s not the talent and the stick-to-itiveness at all. Don’t be afraid of failures because they will happen, and there will sometimes be occasions when something happens to you that you think is perfectly unfair, that you should be at this stage by now. You should be conducting. Don’t worry if you are not Music Director of the Chicago Symphony by this time, and why isn’t this happening to me? Never get into a ‘why me?’ mode would be the advice I could give on that. The other thing is that the experiences you get when you’re going through the tribulations of being a staff conductor — which is so often the stepping stone along the way — or if you’re dealing with an orchestra that you think for some reason or other is beneath you, nothing is wasted. There is always some good to be gleaned out of whatever experience it is that you have, and if you have the stick-to-itiveness and the talent to see it through, that will take care of itself. If you don’t, then by all means consider alternative professions because this is a brutal profession if you’re not one of these conductors who is just going to rise to the top like that. You’re not a Jimmy Levine or the young Danny Barenboim. [See my Interviews with Daniel Barenboim.] That kind of talent and gift and personal moxie is given to very few people in this world. But the world is big enough to accommodate many different kinds of functions, and as a conductor you have a duty to know where your strengths are, where your weaknesses are, and what you think your particular contribution can be. I feel, in a sense, lucky to have found the area of American music to become known as a specialist in. BD: Because it opens doors, then, for everything else? BD: What advice do you have for audiences that come to your concerts — or to any concerts? AS: To audiences I say, “Don’t worry if you don’t think you know about music. Let the music take hold of you. That’s what it’s there for. Come with an open mind and an open heart. If you hear a new piece for the first time and you don’t like it, give it another chance if that other chance is given to you.” I have often found that first impressions sometimes can be misleading. I remember the first time I heard the Barber Piano Concerto. I didn’t like it all that much, but something about it stuck with me and haunted me, and I took a look at the score again and started performing. Then I said, “My God, this is an incredibly beautiful piece and deserves to be part of the literature for piano and orchestras!” It inspired me to work as hard I did with it with Ted Josselson. BD: Is it safe to say then that you found things that were left out of the performance you heard — details or beauties? AS: No, I think it was a failing of mine, basically, that I hadn’t listened to it completely. When you hear a new piece for the first time, it goes by so fast! It arrested me, certainly. It made enough of an impression on me to be interested in it, even though I really hadn’t understood its message the first time. BD: I just wonder if we could get a recording of that performance you heard, and then compare it with your own recording. AS: Well, it was the New York Philharmonic and John Browning. It was top people. BD: Oh, so it couldn’t have been terrible! AS: No, it wasn’t the quality of the performance that was the issue at all. I was thinking about the piece as a work of music, and sometimes that happens. You get this experience that a piece of music doesn’t necessarily turn you on, but it might put something in your memory that will blossom the next time you hear it. It’s peculiar that way. The other thing that I can say to audiences is that new music, fortunately, is losing its image of being something so terrible and awful. Composers are realizing that they were for a while in danger of sophisticating themselves and their audiences to death, and getting so obscure in cerebral things — or in -isms or in devices or gimmicks or whatever — that the essence of the communicational relationship between the composer and the audience was beginning to get lost. Now audiences are beginning to lose that sort of prejudice to hearing something because there’s something wonderfully exciting about a new piece if you’re conditioned to excitement in the first place. I remember back in the old days, the excitement of a new musical by Rogers and Hammerstein. To this day a new musical by Steven Sondheim is a major event. There you’re dealing in a more popular style, and it’s something that’s readily understood and anticipated by the public. Here we’re dealing perhaps in a somewhat more cerebral or esoteric kind of thing, or whatever it is that they feel they have to be more sophisticated in. Nonetheless, there can be excitement about new music, particularly as we are now starting to look at our American masters — I think I can say that we have them — as the new generation of composers takes that kind of succession. Really there is a line that seems to be going from the older generation to the new, and this is something that audiences can be excitable about. I almost forgot in my list of young composers John Corigliano, who certainly is a wonderful example of that. [See my Interviews with John Corigliano.] I’m really excited about his new opera, The Ghosts of Versailles, that the Metropolitan Opera will be premiering this season because John, after all, is a man who knows. He can write tremendously sophisticated things, but he also knows what the voice is; he knows what lyricism is, and to that way you can say that he succeeds in this line of our great symphonists in the past. BD: So you’re optimistic about the future of not only music, but American music? AS: Very much so, and my only hope is that we come to realize, and we take the time to look back and say, “Hey, we really do have a treasure trove here, something that we can be proud of, and this tradition deserves to continue in whatever way the geniuses that come to us see fit.” When I say geniuses, I forgot to mention Leonard Bernstein, who I think his time has yet to come. He’s a very great composer. I’d almost consider him a kind of musical prophet, the way Beethoven was, the way Benjamin Britten was. This is a man with a vision who had not only musical things to say, but philosophical things to say to his particular time and place, and that’s part of history now. We are still used to the persona that this man had, the tremendous charisma that he had, the irresistible smile that he had, his let-it-all hang-out kind of approach toward music and toward life. Now that that personality is no longer with us, we still have his compositions left and these say all of the things that he was saying as a person all along, and will continue to say the same things to generations to come. They will tell those generations much about what our life in our current era will have been, when we get to the future. AS: Oh, I love it. Of course it’s fun! It’s hard work; don’t get me wrong, and sometimes the hard work — when you’re sitting with a new score at the piano and trying to figure it out for the first time — can be very tedious, but that’s part of the discipline. The actual act of putting it all together and molding it is tremendous fun. The relationship you have on stage and with the audience, that’s a great deal of fun. The most fun moments I have are when you have a silence and you know that there are two thousand people back there and if you’re lucky, not one of them is going to cough. When they do, it’s fine, and when they don’t, it’s miraculous! So sure, it’s fun. BD: Good luck with these performances and the recording. Thank you for coming to Chicago. AS: My pleasure. Thank you for having me. Andrew Schenck, a Baltimore-based conductor on the verge of a major international career, died late Wednesday night of cancer. 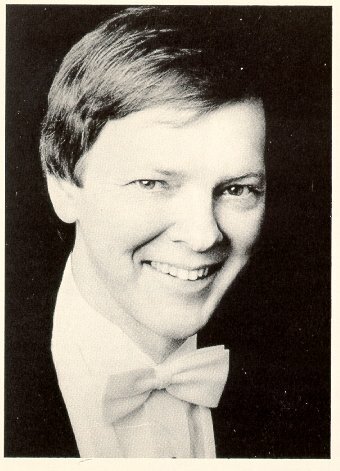 Schenck, who had been associate conductor of the Baltimore Symphony Orchestra from 1973 to 1980, was 51 years old. After years of guest-conducting throughout the world, often with relatively obscure orchestras in the United States, Europe and Asia, Schenck seemed to have made a major breakthrough: Last October he spent a week conducting the Chicago Symphony Orchestra, America's most prestigious symphony. He had also been asked to record with the orchestra, a rare privilege. 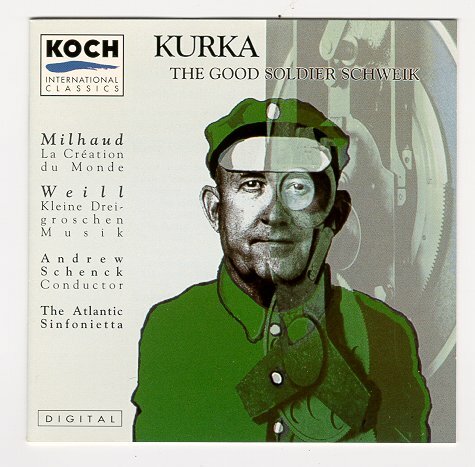 The recording, which consisted entirely of Samuel Barber's music and was released last week on the Koch International label, is expected to become one of the biggest sellers in the label's history, a Koch spokesperson said. "This is ironic," said Lois, Schenck's wife, yesterday of the conductor's death. "He had just achieved the greatest triumph of his career. But he was always determined to lead a perfectly balanced life; he cared more about his family than fame and ended his life very peacefully." It was with Barber's music that Schenck had made his recent reputation. Barber had been in a doghouse of critical and popular neglect for more than two decades when Schenck began recording his music in 1988 with the New Zealand Symphony. Though the conductor was almost a complete unknown and though most listeners didn't even know where New Zealand was -- much less that it had an orchestra -- the records shot to the top of the classical bestseller list. They helped restore Barber's reputation and created a surge of interest in his music. Soon several prominent orchestras and conductors -- including David Zinman and the Baltimore Symphony, Leonard Slatkin and the St. Louis Symphony and Yoel Levi and the Atlanta Symphony -- had Barber projects of their own. But it was Schenck who remained most closely identified with the American composer, and that identification led to invitations this year from Chicago, the London Symphony, the Moscow Philharmonic and other prestigious orchestras. But his recent illness kept him from accepting most of these invitations. Just before he went to Chicago last October to perform and record Barber, Schenck had discovered that he was mortally ill.
"I understand professionalism, but Andrew showed a level of courage that was tremendous," said Henry Fogel, the Chicago Symphony's executive director. "Most people in his position would have asked for some indulgences, but Andrew made no apologies and just gave terrific concerts and made a fine recording of several challenging Barber scores. No one ever knew he was ill."
Schenck was born in 1940 in Hawaii, where his grandfather had been a missionary. In 1948, his parents took him to New York when his father, Edgar, became director of the Brooklyn Museum. After attending New York City's High School of Music and Art, the future conductor -- then a clarinetist -- set off for Harvard College, where he majored in English literature. At Harvard, Schenck decided upon a career in music. A Fulbright fellowship took him to Stuttgart and Berlin, and in 1963 he won first prize in a major international conducting competition in Besancon, France. He also studied with Leonard Bernstein at Tanglewood and Pierre Monteux in Maine, and did graduate work in conducting at Indiana University in Bloomington. 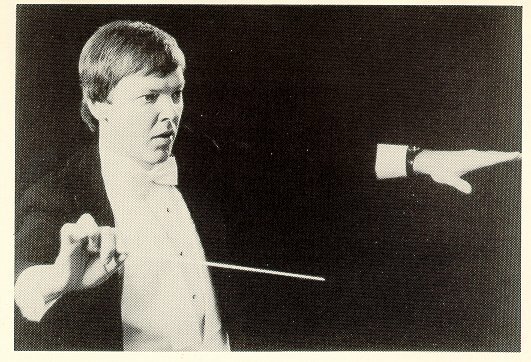 In 1970, he became associate conductor of the Honolulu Symphony and became the BSO's associate conductor in 1973. During his seven-year tenure at the BSO, Schenck assisted then-music director Sergiu Comissiona by conducting pops concerts, children's concerts and run-outs. But he was also responsible for one of the BSO's most ambitious projects to date -- a concert performance in 1977 of Act III of Wagner's "Die Meistersinger." "The genuine hero of the evening was Maestro Schenck," wrote Evening Sun music critic Sam di Bonaventura. "For the period of two continuous hours he maintained with a sure hand the intensity of the drama, the songful flow, and the security of the whole." "Andy did a spectacular job," said BSO violinist Craig Richmond. "I will remember always that he was involved with the music, very professional and kind to everybody. In terms of conducting technique and musical quality, he was the best assistant conductor we ever had." 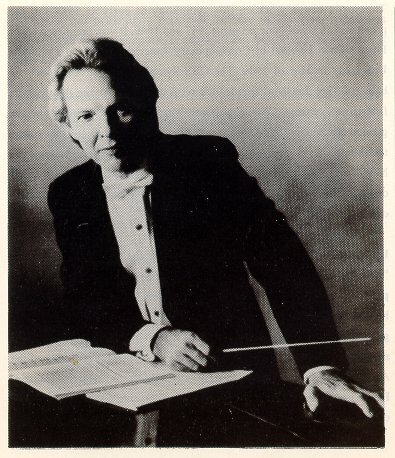 At the beginning of the BSO's 1979-1980 season, Schenck submitted his resignation and became resident conductor of the San Antonio Symphony -- a post he kept until 1988. But he remained in Baltimore for the 1980-'81 season, commuting to San Antonio, guest-conducting in other cities and trying to start a company for chamber opera here. When the Baltimore Chamber Opera Theatre folded after one season, Schenck and his wife, Lois, a writer and a Realtor, left for New York City. They returned to Baltimore in the late 1980s, Schenck explained last year, because "Baltimore was the first place where I lived for more than six years at a time. It made a big difference for us as a family, and our children still feel very much attracted to Baltimore." At the time of his death, Schenck was music director of the Nassau Symphony on Long Island and of the Atlantic Sinfonietta New York City. Besides his wife, Schenck is survived by two sons, Matthew and Timothy, and a sister, Miriam Elia of Jerusalem. A memorial service will take place Feb. 29 at 2 p.m. at the Church of the Redeemer. This interview was recorded in Chicago on October 21, 1991. Portions (along with recordings) were used on WNIB in 1992 and 1996, on WNUR in 2006, and on Contemporary Classical Internet Radio in 2007. This transcription was made and posted on this website in 2012.